She repeated the scene in her head over and over. Every time it was more miserable than the last time. He was in that little corner of their college kissing another girl. When she thought about him, she felt a Tsunami of sadness. She remembered how she thought he was her soulmate. She remembered how smitten she was. The infinite times when they had confessed how much they loved each other. The times when his little gestures made her feel like the queen of the world. All those times when they knew what the other was thinking. She remembered everything about him. It wasn't love at first sight. But, when she had known him, she knew he was the one. She knew he was her forever. She knew he was her happily ever after. Thinking about him made her sadder. 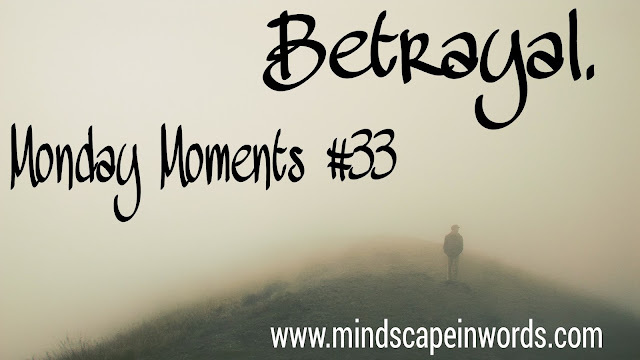 This betrayal wasn't something which she could handle. Her already broken pieces of heart were broken further because of him. She wasn't mad at him. She was mad at herself. She was mad at herself for being so naive, so predictable, such an idiot. She went to her past. 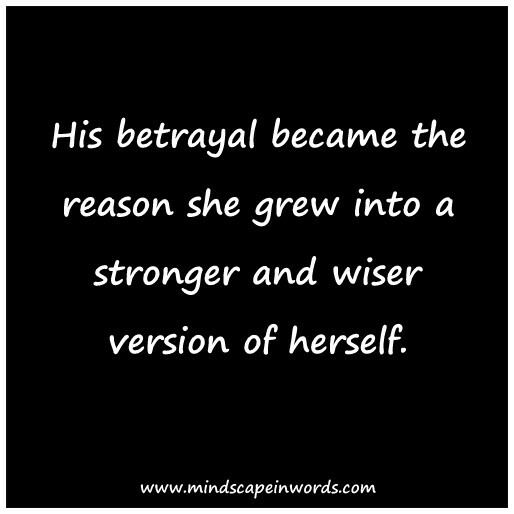 She realised how he was never himself when he was with her. How she was just another girl for him. This betrayal got the worse of her. She couldn't think of anything else. She cried her eyes out. She blamed her innocence. She cursed the world and its twisted ways. She was disgusted for him. In her room, at night, she cried herself to sleep, trying to delete him from her memory. 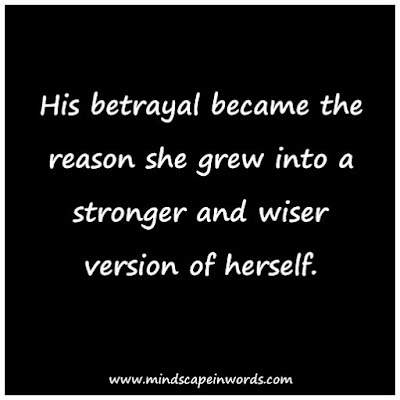 At that moment, his betrayal became the reason she grew into a stronger and wiser version of herself. Beautiful. Love the way it's presented as a story.